Tomorrow night, at the Estadio da Luz, Real Madrid will take on Atletico Madrid in the Champions League Final. On the eve of this all Spanish showdown, we've put together fifteen of our favourite photos from European Cup/UEFA Champions League Final's of the past. We hope that you enjoy them. 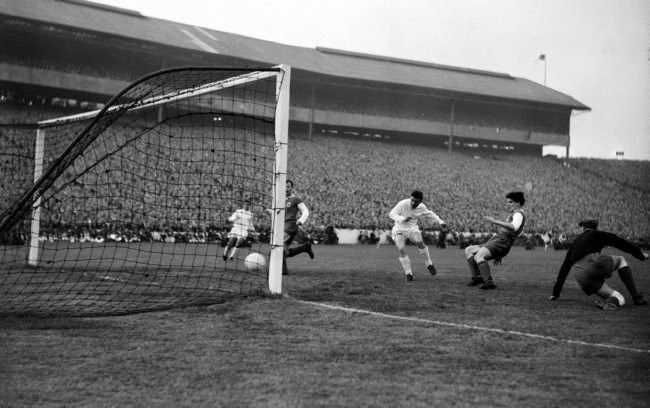 1960 - Ferenc Puskas scores Real Madrid's fifth goal against Eintracht Frankfurt en route to a famous 7-3 win. 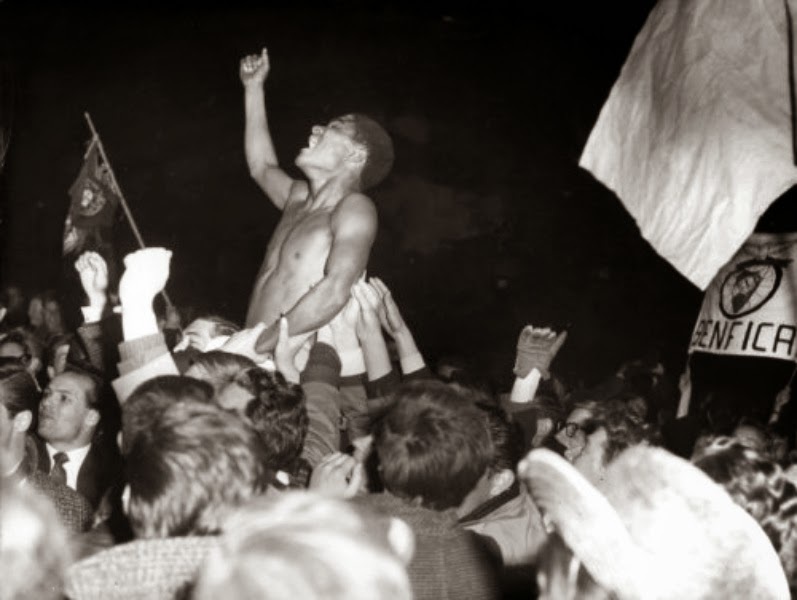 1962 - Eusebio is held aloft following Benfica's 5-3 win over Real Madrid. 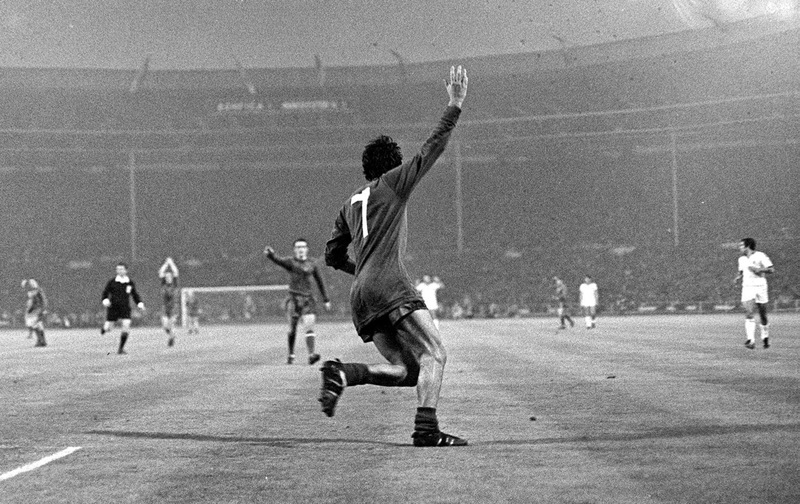 1968 - George Best puts Manchester United ahead in extra time as they go on to win 4-1 over Benfica. 1971 - Johan Cruyff in full flow against Panathinaikos during Ajax's 2-0 victory. 1975 - Gerd Muller celebrates Bayern Munich's 2-0 win over Leeds United. 1978 - Kenny Dalglish wakes up in bed with the Cup following Liverpool's 1-0 win the night before over Club Brugge. 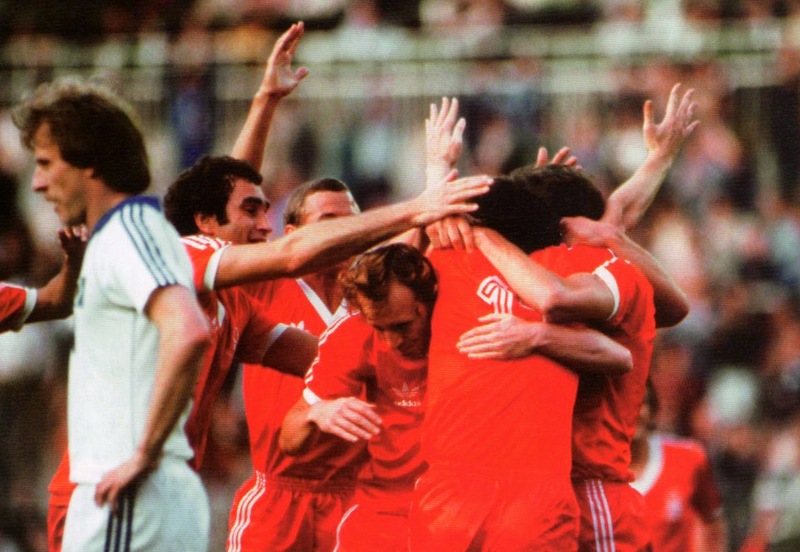 1980 - Brian Clough's Nottingham Forest celebrate their unbelievable second European Cup win in a row, after beating Hamburg 1-0. 1986 - Helmuth Duckadam plucks the ball out of the air and goes onto save four penalty kicks in an incredible shootout, that was won 2-0 by Steaua București over Barcelona. 1989 - Dutch stars Marco van Basten and Ruud Gullit lift the European Cup following AC Milan's 4-0 win over Steaua București. 1993 - Controversial French side Olympic Marseilles, who would later be found guilty of match fixing, celebrate their 1-0 win over AC Milan. 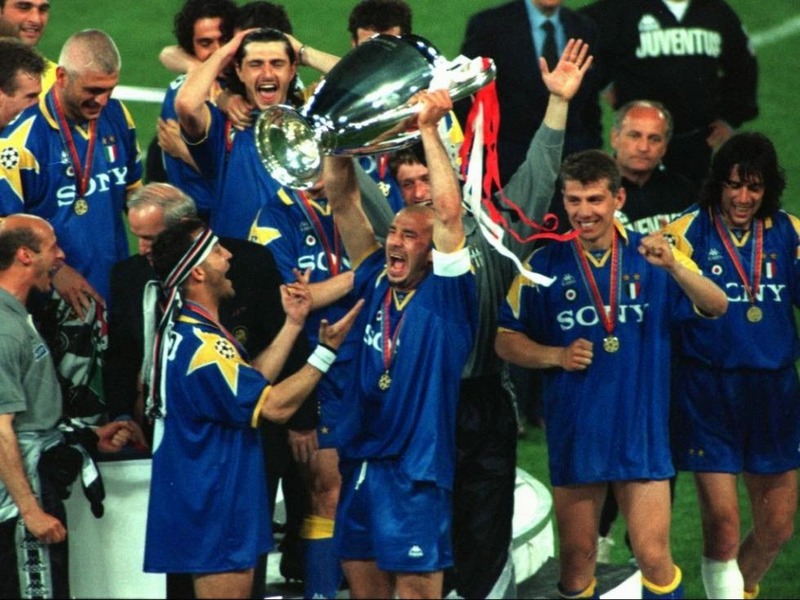 1996 - Gianluca Vialli lifts the Cup for Juventus following their 4-2 penalty shootout win over Ajax. 1999 - "And Solskjær has won it!" 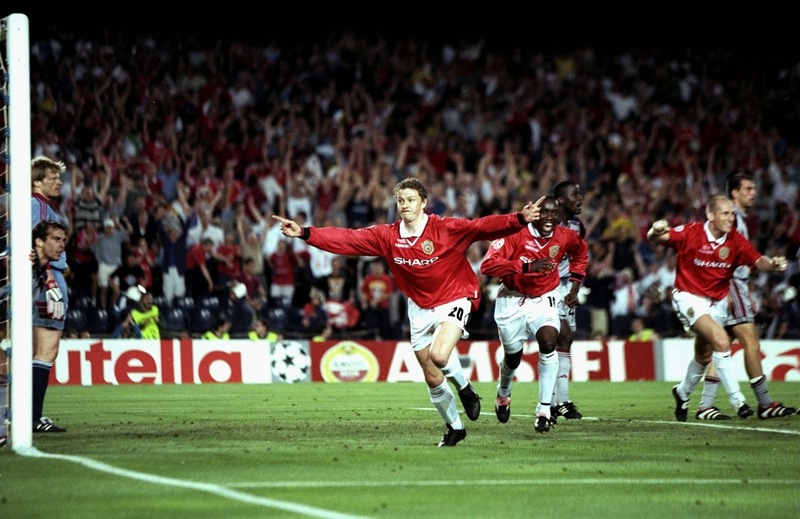 Ole Gunnar Solskjær scores the winner deep into injury time as Manchester United defeat Bayern Munich 2-1. 2004 - Jose Mourinho's Porto celebrate after beating fellow unlikely finalist Monaco 3-0. 2011 - Pep Guardiola gets tossed in the air following Barcelona's 3-1 win over Manchester United. 2012 - Didier Drogba ends his time at Chelsea in style, as he cancels out Muller's goal for Bayern Munich with only two minutes to go, and then scores the winning penalty kick in the shoot-out.